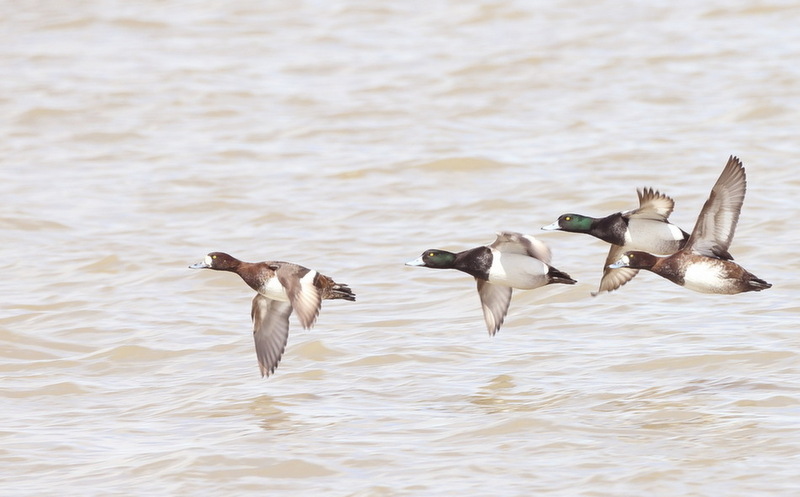 Nice to be able to get all these Greater Scaups in focus. A good flight collection with pleasing composition. I wonder whether you could increase the contrast a bit as it seems a little washed. 4 sharp in a frame! Really nice frame Peter. Little darker would makes the birds pops more. Nice frame Peter. They all look sharp.